DAI NIPPON 2602 25 cts. Original stamp was used since 1936. 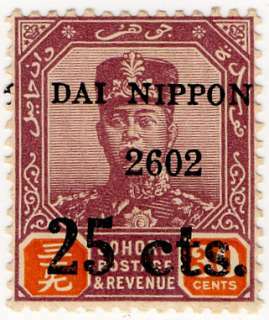 Overprinted year shows 2602, which is Japanese year and 1942 in Gregorian.